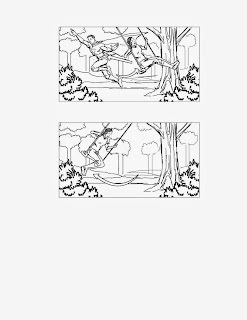 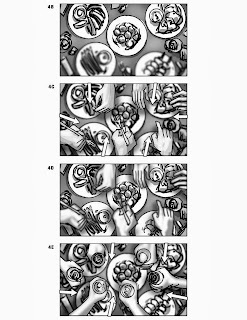 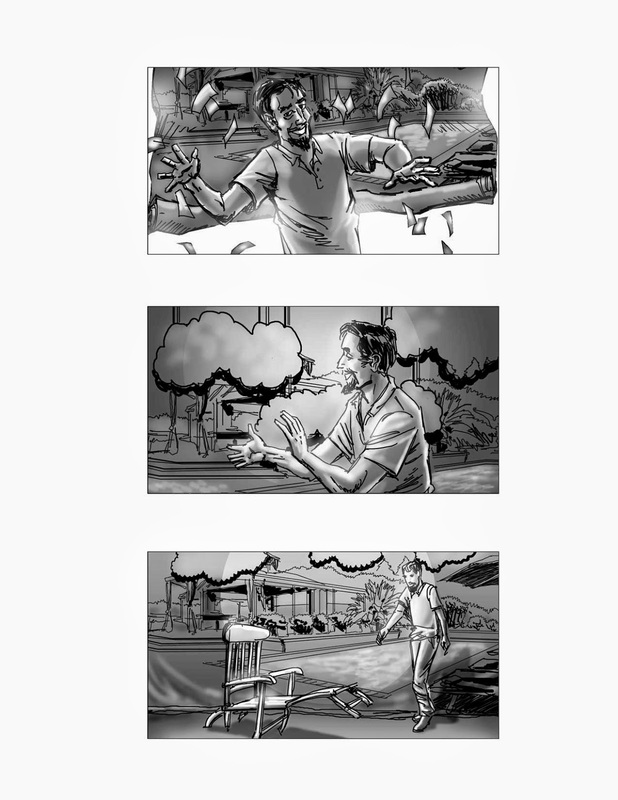 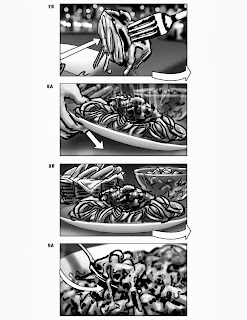 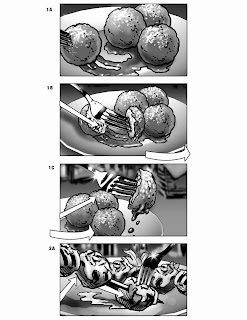 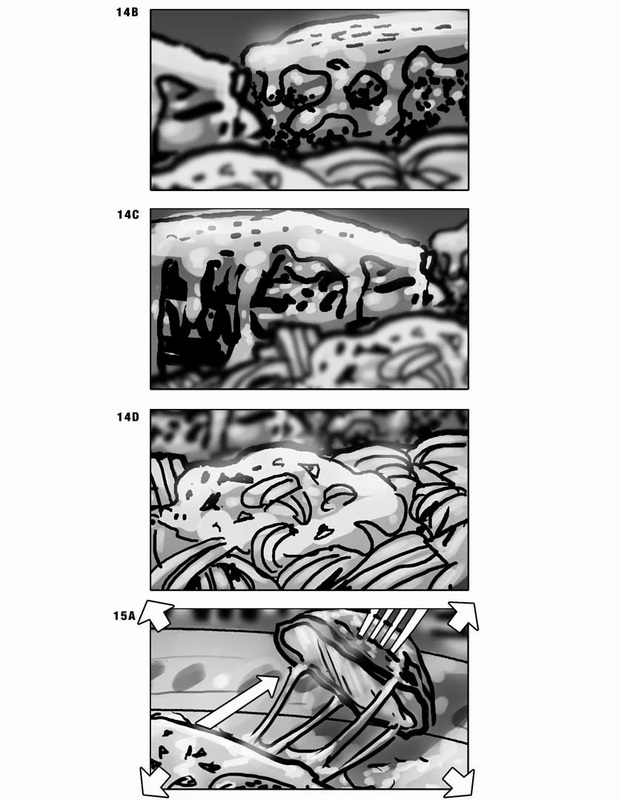 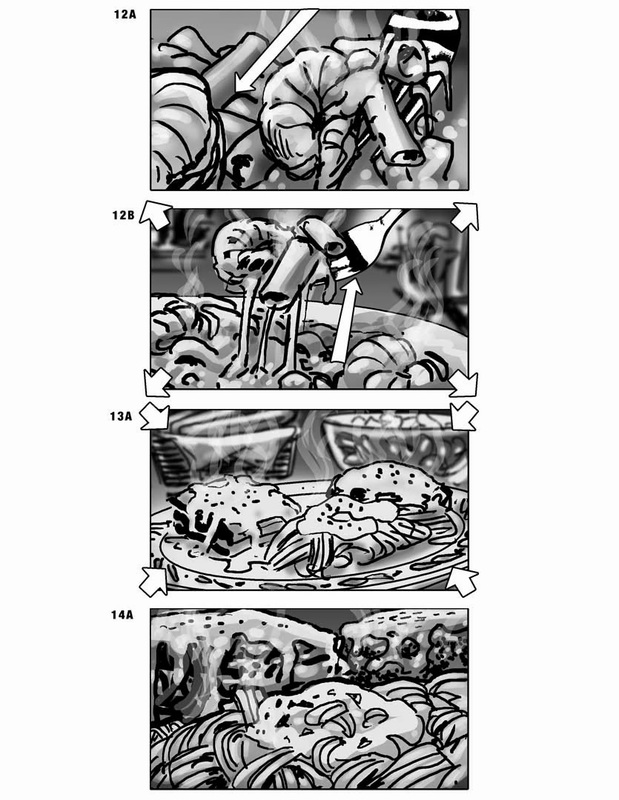 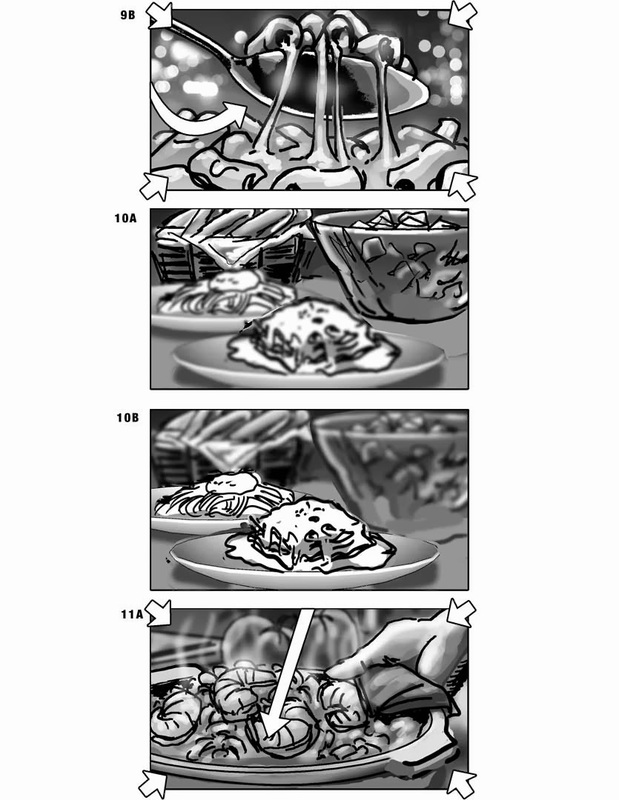 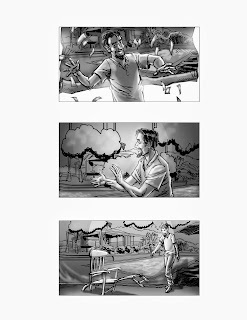 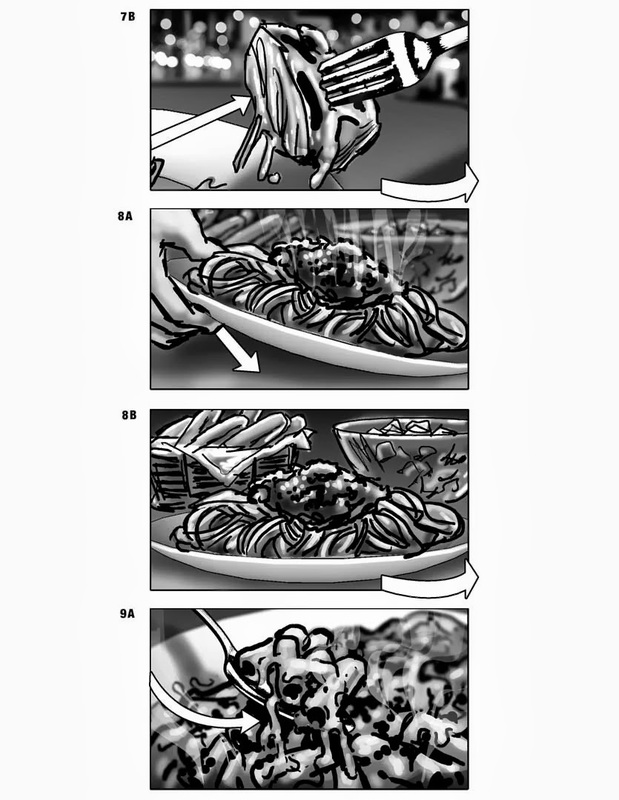 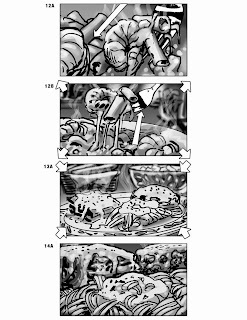 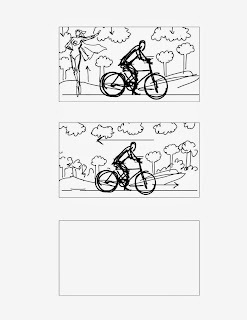 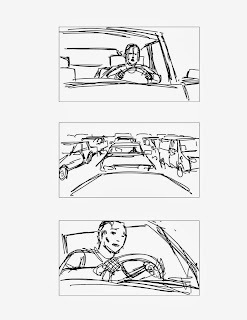 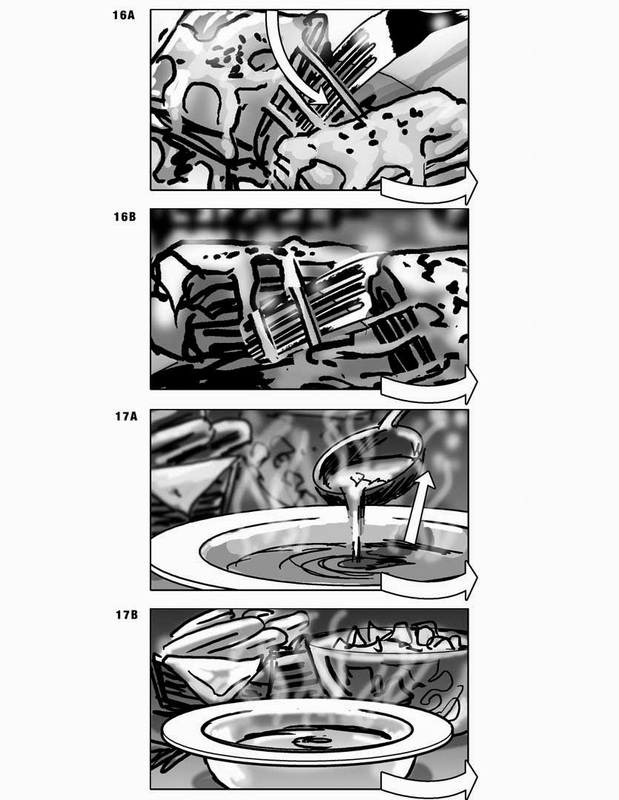 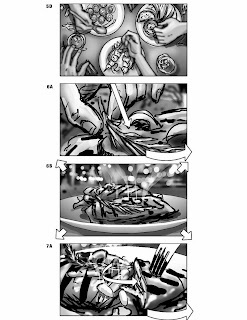 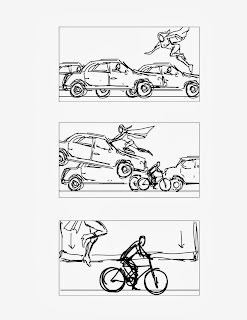 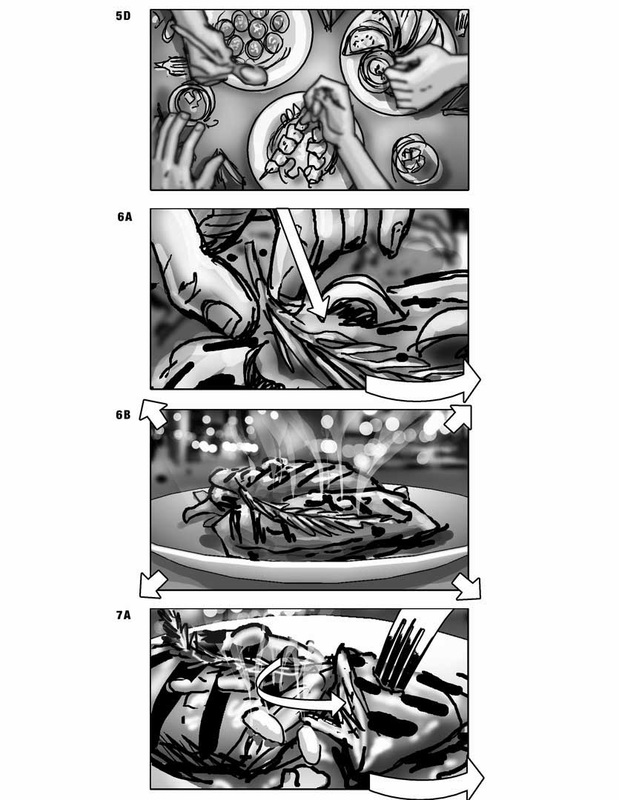 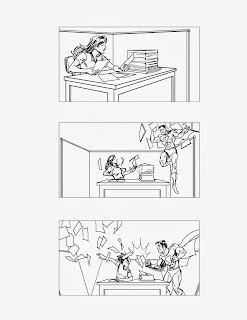 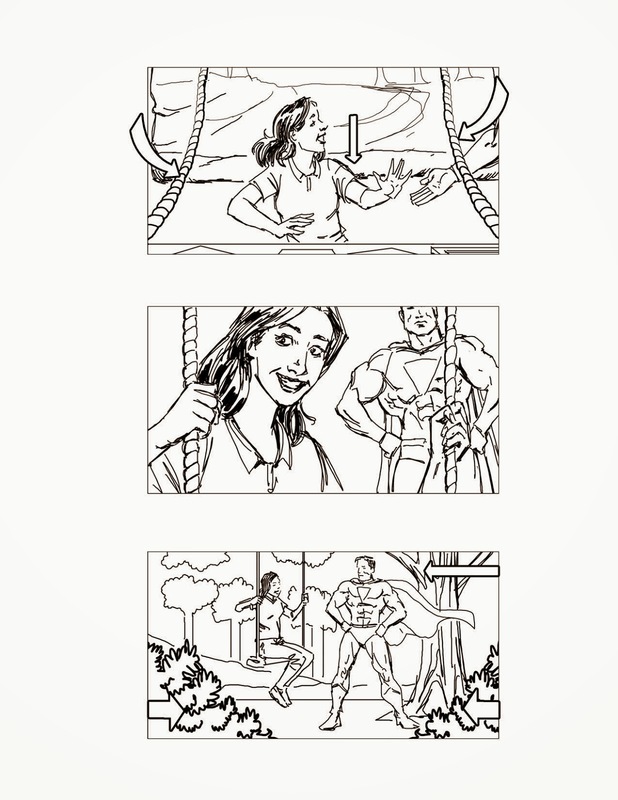 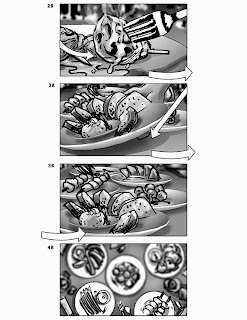 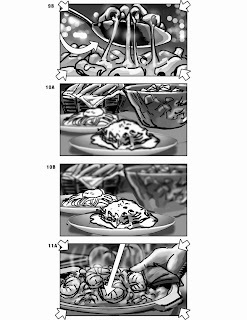 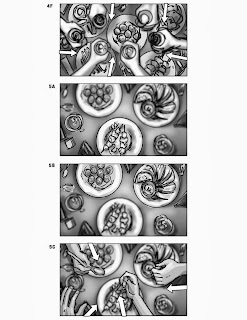 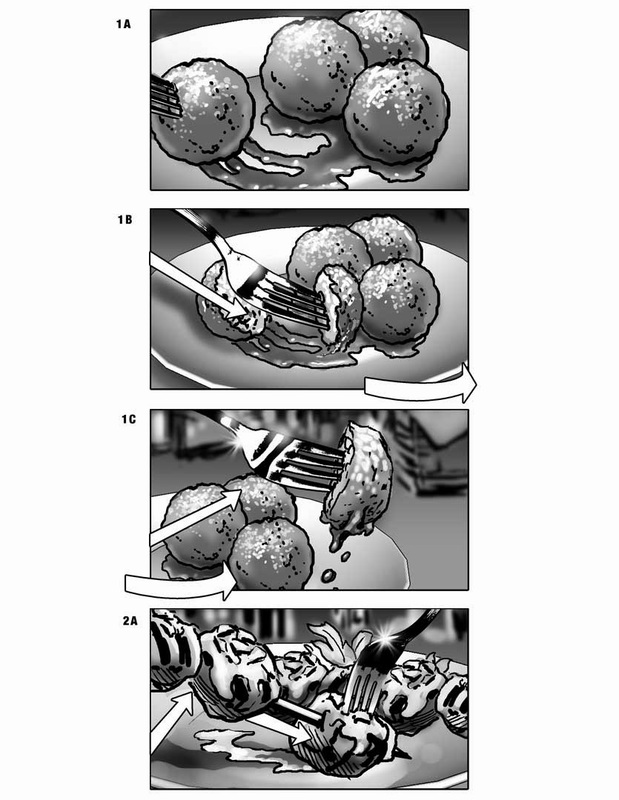 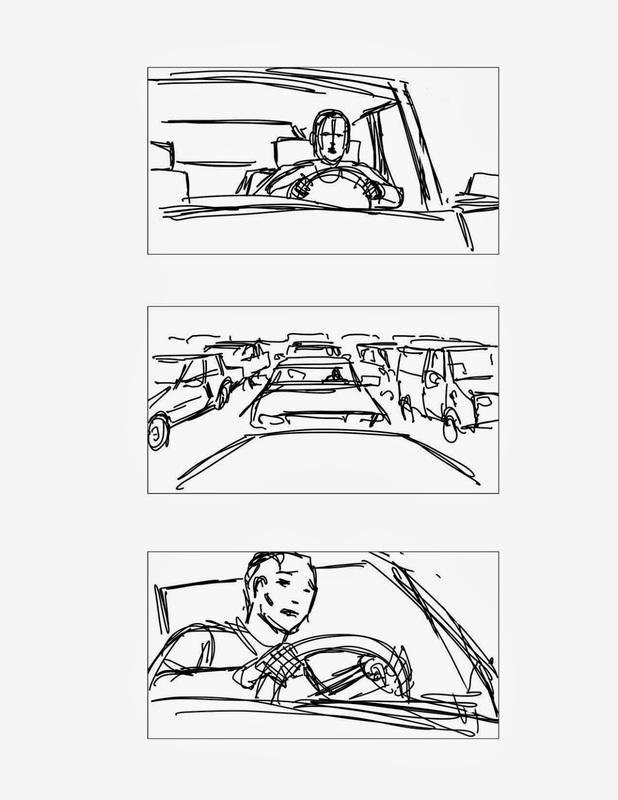 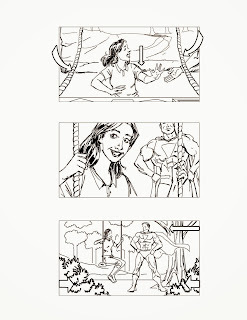 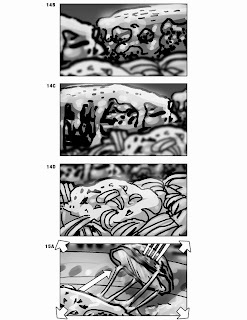 Below are some storyboards I did for a company called McGuffin Films, who were hired to do an Olive Garden commercial (yeech...). 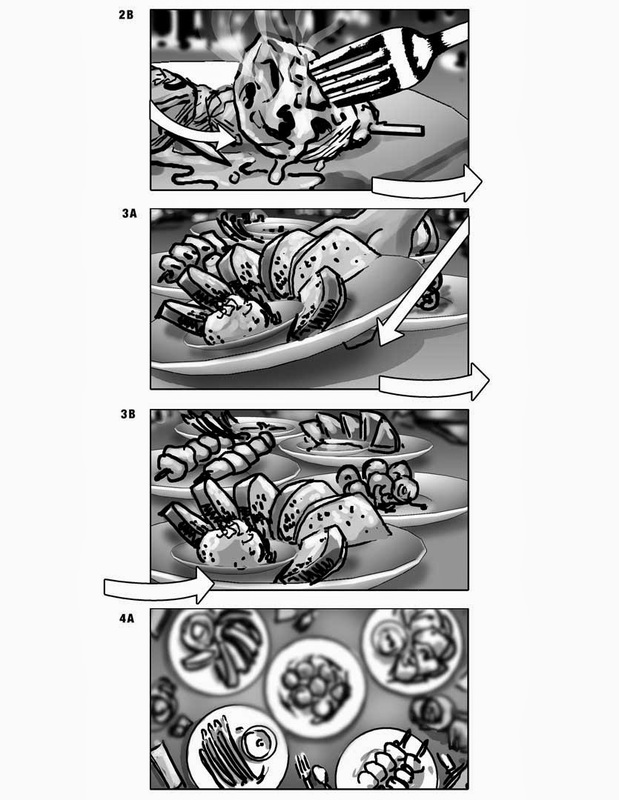 They just wanted extreme close ups of the new dishes they're unveiling soon. 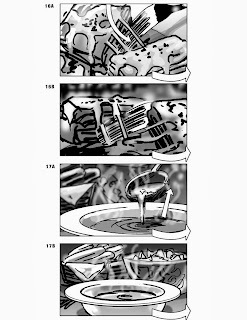 They sure do love their cheese-pull shots. Below are some different boards I did for a company called The Mill. 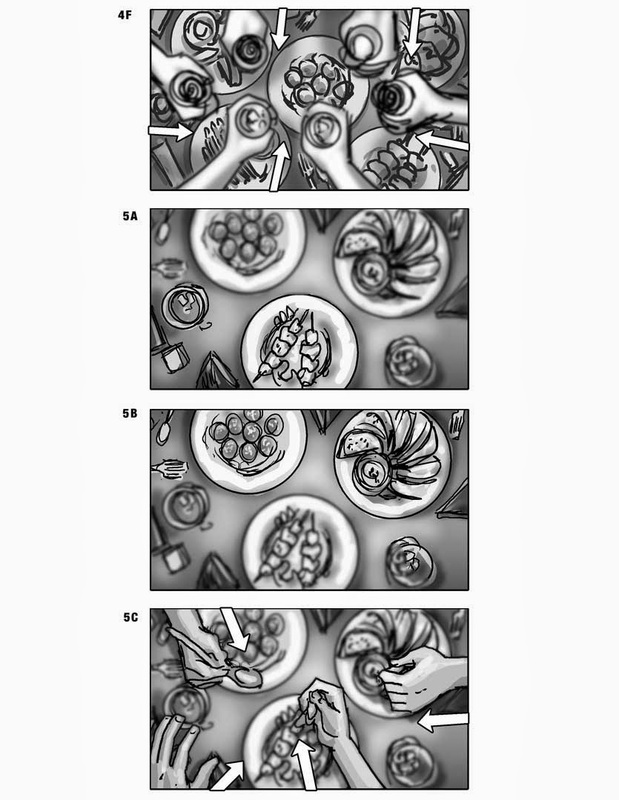 This was for promotion of some proposed Russian tv network, I believe. 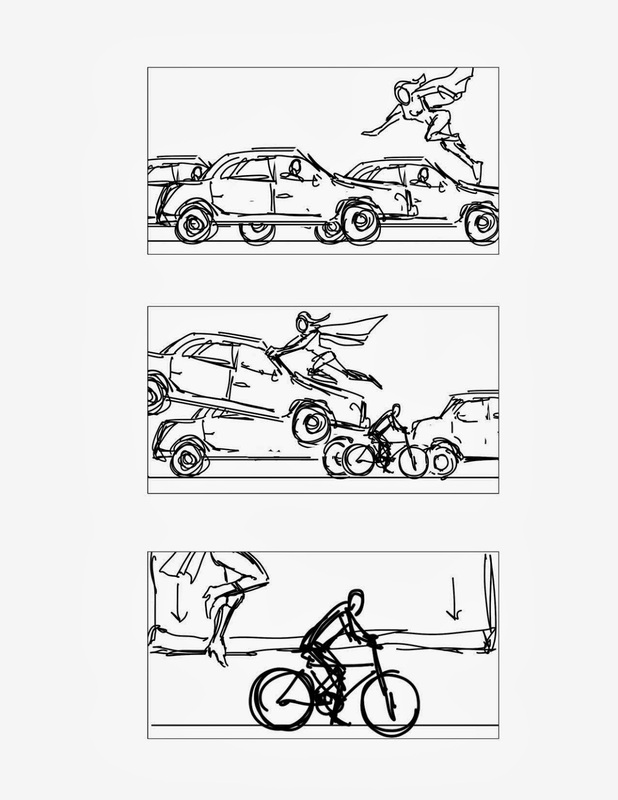 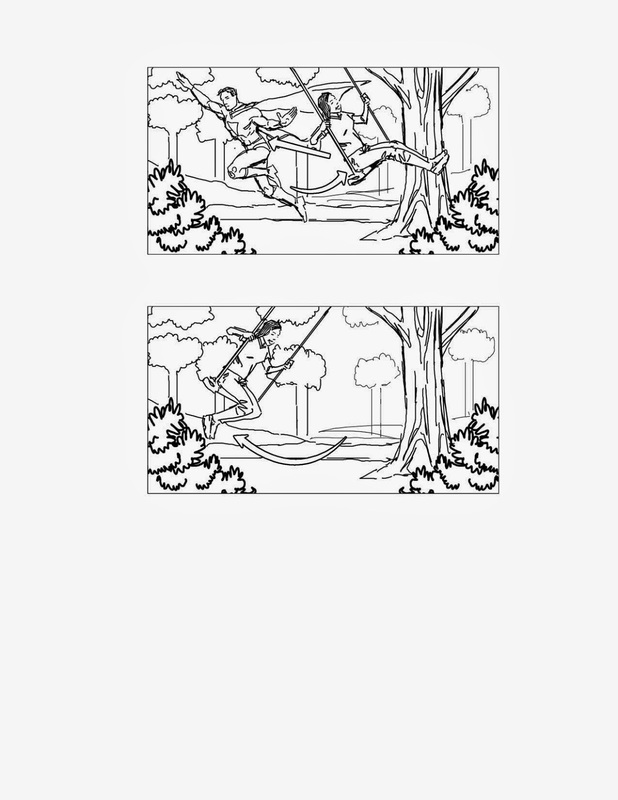 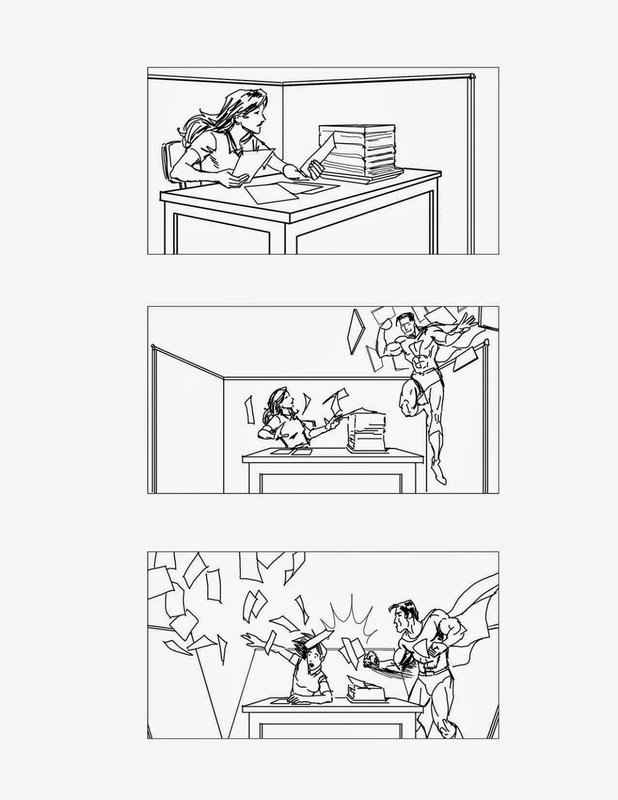 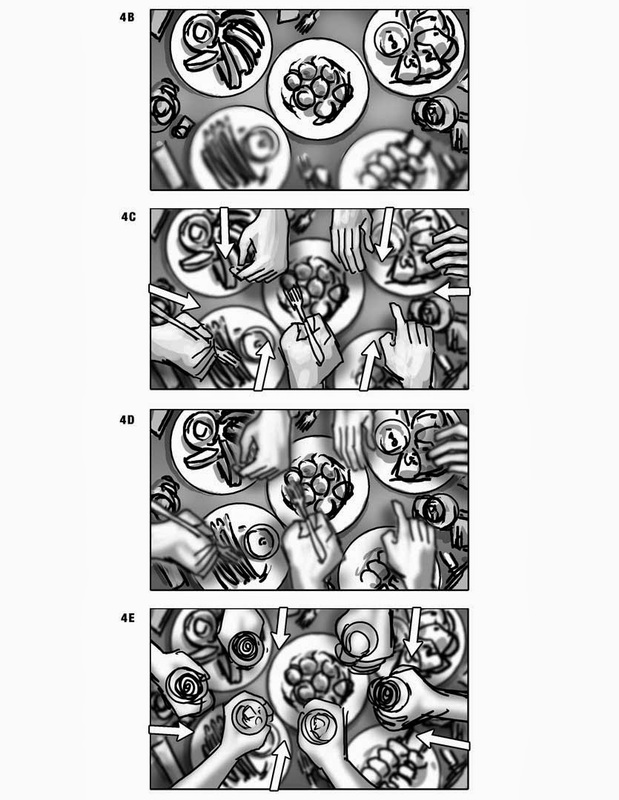 This shows the different ways I could finish the boards, all in one job, from loose to highly rendered. 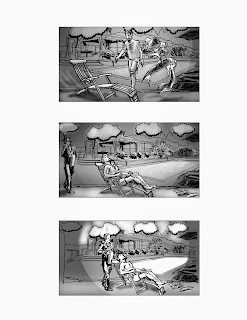 The more finished looking ones towards the end had more frames, but I had forgot to keep files for myself from when I worked in the studio.